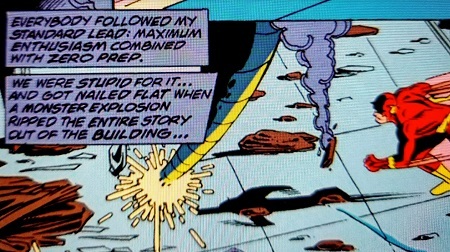 Wally West in The Flash #82, summing up my approach to GMing. If you celebrate Thanksgiving, I hope yours is a good one. I’ll be back in a few days! It doesn’t usually go like the next narration box . . . Especially if it’s an explosion of monsters rather than a big explosion, right?